Newer News . . .
Rudresh awarded Chamber Music America grant to compose for a new quartet which includes guitar great David Fiuczynski. Rudresh wins Downbeat Critics Polls for "Rising Star Jazz Artist" and "Rising Star Alto Saxophonist"!! 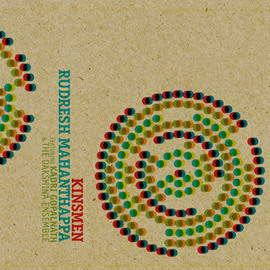 Kinsmen also recognized in "Jazz Album of the Year" category. Rudresh featured on NY1 TV! Rudresh on NPR's Fresh Air! Feature article about Rudresh in the New Yorker! Apti reviewed in Rolling Stone. Apti receive 4 stars in Downbeat. Check out Rudresh's Voicemail for Obama on PRI's Studio 360. Kinsmen sweeps over 20 year-end lists/polls including The New York Times, NPR, The Village Voice, and the BBC to name a very few. Click here to see the whole rundown. Kinsmen featured on NPR's All Things Considered. Indo-Pak CD release show at Le Poisson Rouge reviewed in the New York Times. Kinsmen reviewed in the New York Times. Kinsmen and The Beautiful Enabler receive 4 stars in Downbeat. 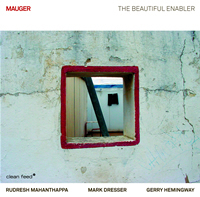 The Beautiful Enabler reviewed in All About Jazz. Rudresh's Guggenheim fellowship work culminated in the premiere of Samdhi in October at the Pittsburgh International Festival of Firsts. This project includes guitarist David Gilmore, bassist Rich Brown, drummer Damion Reid, and mridangist Anand Ananthakrishnan. As always, you can hear most of these projects by clicking on PROJECTS or (if you're in a hurry) by visiting Rudresh's myspace page. Rudresh taught at the world renown The Banff International Workshop in Jazz and Creative Music this past May. Codebook named best CD of 2007 (CHOC DE L'ANNÉE) by France's Jazzman. Thanks you to everyone who came to the MSG shows in Ireland and Northern Ireland. The tour was a blast for us! Thank you to everyone who came to the Dakshina Ensemble shows! We performed 8 sold out concerts and made a recording. Look for a CD release on Pi Recordings in August 2008. Check out this tour preview video of the Dakshina ensemble! Listen to Rudresh on David Garland's new show on WNYC "Ear to Ear" playing music from all of his projects including the quartet, Indo-Pak, MSG, Raw Materials, and the Dakshina Ensemble. For the fifth year in a row . . . Rudresh was named a "Rising Star" by the 2007 Downbeat Inernational Critics Poll. FREE DOWNLOAD of "Enhanced Performance" from Codebook available at allaboutjazz.com. Raw Materials JVC show reviewed in the New York Times. Raw Materials featured in a New Yorker illustration!! Mahanthappa gets the prestigious Guggenheim Fellowship!!! Codebook is now available on iTunes (direct link). Codebook receives CHOC (the highest rating) from France's Jazzman Magazine. Read the review here. Codebook extensively reviewed in Science Magazine. Read the full article here (in pdf format). Codebook received 4 stars in the March Issue of UK's Jazzwise Magazine in Jazzwise Magazine. Read the review here. Codebook was the Editor's Choice for February in the UK's Jazz Review Magazine. Codebook received the "bollino di Marzo" (pick for the month of March) by Italy's Musica Jazz. 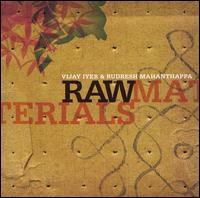 Both Raw Materials and Codebook were named two of the top jazz albums of 2006 by the Village Voice and Jazztimes. Codebook reviewed in Downbeat (in pdf format). See PRESS for more reviews. Rudresh was in residence at the Carl Nielsen Academy of Music in Denmark followed by a tour with Real People, a Danish-American quintet featuring Anders Mogensen on drums, Jacob Anderskov on piano, Kasper Tranberg on trumpet, Carlo De Rosa on bass. Rudresh, Mark Dresser, and Gerry Hemingway recorded a collaborative trio album for Clean Feed Records in December. Watch for a release in late 2007. Rudresh is pleased to announce that he is now being represented in Europe exclusively by Ralph Gluch. See CONTACT for more info. Codebook featured in Seed Magazine. Codebook featured on American Public Media's Weekend America radio show. Codebook featured on wired.com with excerpts and the story behind the music. Codebook featured in Science Magazine. Another great review at allaboutjazz.com. Preview tracks available at the Pi Recordings website and at Rudresh's myspace page! Get it at your favorite CD store, internet retailer or directly from Pi Recordings. Rudresh places 2nd on the Downbeat International Critics Poll in the "Rising Star Alto Saxophone" category! Rudresh received the New York Foundation for the Arts fellowship for excellence in music composition. After a decade of collaboration, Raw Materials (duo with Vijay Iyer) has released their first CD on the Savoy Jazz label. Click here to visit the Raw Materials page on myspace.com to hear the first 4 tracks from the album. New sound files now posted for all projects: Rudresh Mahanthappa Quartet, Raw Materials, Indo-Pak Coalition, MSG, Dual Identity, and the Daksina Ensemble. Click on PROJECTS and scroll down. MSG, the new trio of Rudresh, bassist Ronan Guilfoyle, and drummer Chander Sardjoe, will be touring Europe in September 2006. Watch for shows in Ireland and Belgium. The Indo-Pak Coalition with Rez Abbasi on guitar and Dan Weiss on tabla presented the world premiere of "Apti" at Joe's Pub on May 31. Watch for a studio recording later this year. "Apti" is a sponsored project of the New York Foundation for the Arts with funding provided by the New York State Council on the Arts. "Apti" is underwritten by the American Composers Forum with funds provided by the Jerome Foundation. Rudresh Mahanthappa Quartet presented the world premiere of "Code Book" at The Jazz Gallery on April 19 & 20. The quartet recorded "Code Book" on April 21 for Pi Recordings to be released this September. "Code Book" was created with support from Chamber Music America's New Works: Creation and Presentation Program, funded through the generosity of the Doris Duke Foundation. For the third year in a row . . . Rudresh was named a "Rising Star" by the 2005 Downbeat Inernational Critics Poll. Rudresh's shows with Carnatic saxophone legend Kadri Gopalanth were sold out in Philadelpha and New York this past May! Read a review at jazztimes.com here. Read a feature story about Rudresh and this project in the Philadelphia City Paper here. Hear an interview with Rudresh and Kadri about this project on NPR here. Hear an interview with Rudresh and Kadri about this project on WNYC's Soundcheck here. European reviews of Mother Tongue will be posted soon. Mother Tongue received 4 Stars in the February issue of Downbeat. Mother Tongue made the Jazzmatazz Top Ten of 2004. Mother Tongue remained at #1 on Canadian jazz radio charts for 4 weeks!! Mother Tongue peaked at #8 on US jazz radio charts . Entire press kit available for download. Click on PRESS for more info. Mother Tongue was named one of Top Ten Jazz CDs of 2004 by the Chicago Tribune. Feature story about Rudresh in the December issue of Jazz Times. Click here to read the article. Rudresh was named a "Rising Star" by the 2004 Downbeat Inernational Critics Poll.